you awaken to your divinity. When you awaken to your divinity, you feel alive. This journey with Qoya flows around embodying the different aspects of the Goddess in the Hindu Pantheon. She is the Divine Force in Shakti. She is Love, Fertility and Devotion in Parvati. She is Abundance and Fortune in Lakshmi. She is Warrior in Kali. She is Wisdom and Knowledge in Saraswati. She is Prosperity and Success in Radha. She is Creatrix in Madadevi. As you step into the sacred land of the Goddesses here in India, open your heart, mind, body and spirit to walking the path of the Embodied Goddess. An Embodied Goddess is a woman who is in the process of loving herself ferociously. A woman whose love knows no bounds, and by truly loving and accepting herself, she loves and accepts her world. An Embodied Goddess is a woman who lives a life filled with joy and passion. She believes in her infinite capability to create a life she loves, and in doing so, she gives others around her permission to do the same. An Embodied Goddess is a woman who knows how to have fun, for in her childlike heart, she captures the essence of her divine beauty. In her presence, laughter abounds. An Embodied Goddess is a woman who lives in deep gratitude for the gifts she carries within her. By trusting her intuition, she is a creatrix and changes the world as others know it to be. On this retreat, you will dance through the essence of each of the Hindu Goddesses to experience this path of love, joy, passion, creation, fun, and gratitude. Whether you feel the call to travel to India or not, the Embodied Goddess already lives within you in every moment of every day. You are Her and you can find Her wisdom, love, strength, courage, passion and patience within you. And - we were not born for our gifts to lie within, but to be EMBODIED and experienced in our lives. May the rise of your Embodied Goddess begin today. 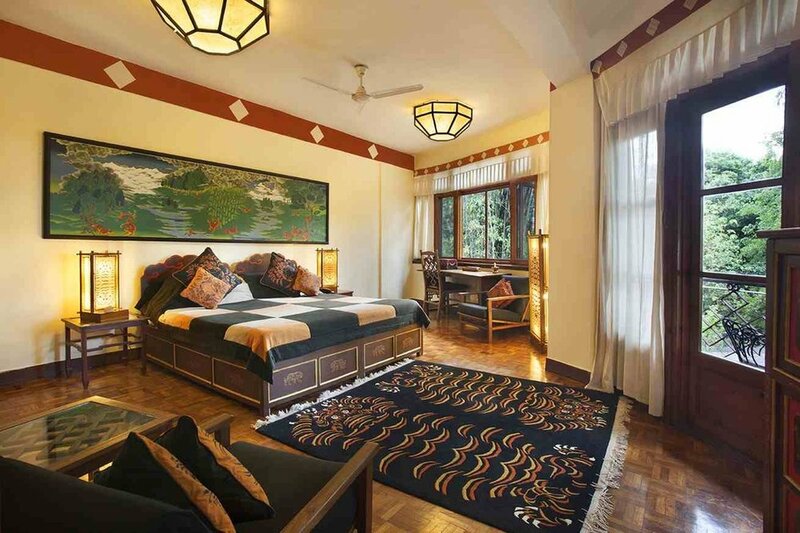 “My time in India on the Qoya retreat was a life enriching experience. Prior to going, I had never taken a Qoya class, hadn't met Rochelle, and didn't know any of the women who were going. I had seen some of Rochelle's videos online and received her newsletter. I loved her message, and the call to go on the retreat was unresistable! This was the Universe presenting me with exactly what I needed. I needed to rebuild my spirit, my confidence, and my love for myself. I had just gotten out of a 4 year relationship that wasn't the healthiest. Doing Qoya every morning in a place that was away from the distractions of home, allowed me to tap into my essence, my power, my beauty...it was a reminder. The vacation part was one adventure after another - I can't believe all the cool things we did! It was a good mix of relaxing, shopping, and cultural excursions. And one of the best gifts was getting to know the 14 other women. I learned so much from them - they were the role models I needed. They helped to insight my own desires and show me what could be possible in my life." * Ease your resistance to flow. India is the master teacher of learning how to adapt with grace and harmony. * Connect to wisdom. All of the Goddesses we will study mirror the seeds of potential that we each hold. * Expand your patience with time. Everything on this retreat invites us to expand our capacity for timeless practices that reconnect us to the infinite eternal pulse of life and release suffering from attachments and unmet expectations. * Pray and experience the sensation of prayer not only with your mind but with your body. * Feel reverent, inspired, and connected - to self, others, nature, India, and spirit. * Go on an adventure! Travel to a mystical land and be forever changed by studying these goddesses and honoring the goddess that lives within you. If you feel the call to travel to India and be hosted by an Indian family, immerse yourself in prayer and ceremony, and integrate the experience through Qoya movement in an intimate gathering of women, we invite you to follow that call. 1:30pm-6:30pm: Goddess Temple Visit. Refreshments will be available at home when we return. Blessings for your next adventure! The retreat will be held at Radzy Chugh's family home (one of our Qoya teachers!) in the foothills of the Himalayas. This is a Qoya home blessed with walks leading into the pine forest and lots of space to relax and find your comfy corner. It is designed to keep joy and freedom in the heart of the space and provides ample opportunity to relax and be at ease. Radzy's healing room welcomes you into a space of complete relaxation and rejuvenation. 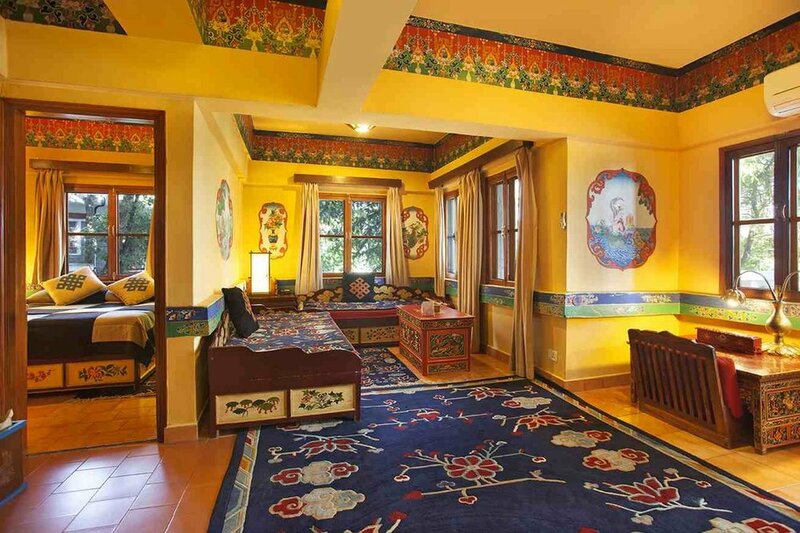 Accommodation is available at the Norbulingka Institute. Transportation to the retreat each day will be provided and is included in your tuition. 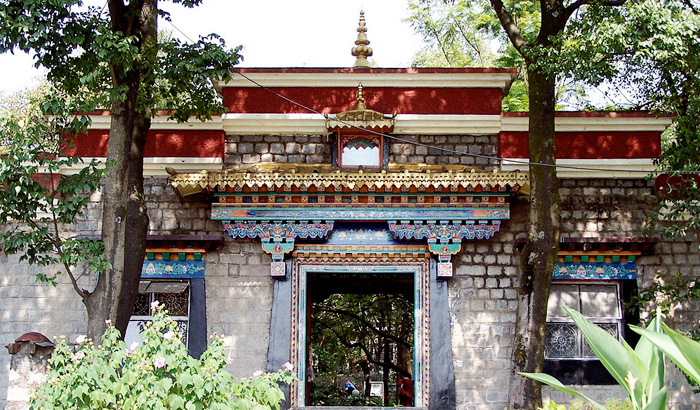 Norbulingka Institute acts as a cradle for the revival of Tibetan art and provides a haven for artists to practice their crafts. The aim is to retain the artistic knowledge and techniques which were achieved at the pinnacle of Tibetan Buddhist civilization and to pass these on to new generations of artists who are interested in pursuing their cultural heritage. All income generated by Norbulingka goes back into the institute, through which they can support social programs such as health and child care for their staff, as well as apprenticeships in traditional arts and the patronage of various scholastic projects. In this way, Norbulingka acts as a self-sustaining community where all members contribute to the larger vision of preserving Tibetan culture and the income generated is re-invested to create a better life for our staff and future Tibetan generations. This retreat is for women ages 18+ only. All movement levels are welcome. Pricing is per person depending on the room option you choose, and payment plans are available through August 1st, 2019. It starts with dinner at 6pm on the 13th, and ends at 9am on the 22nd. We recommend that you arrive around between 12:00pm and 4:00pm on the 13th to have time to settle in before dinner. + How do I get to the retreat center? 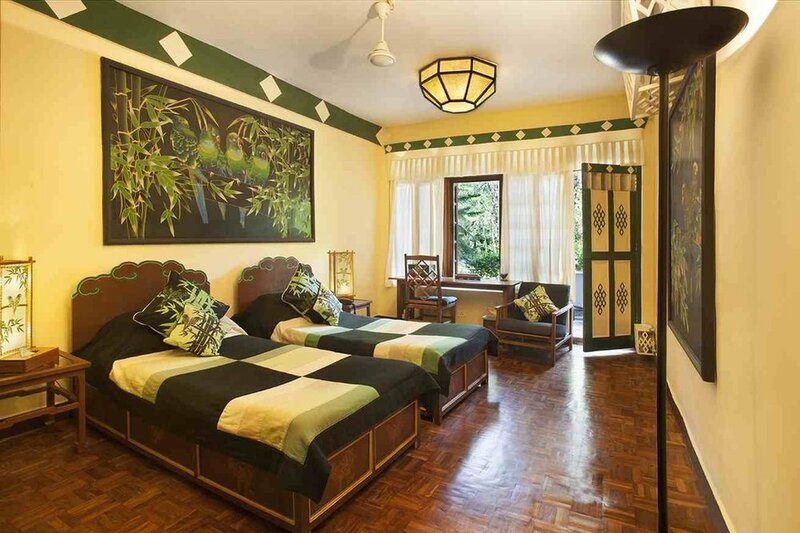 You should fly into Dharamshala airport, which is about 30 minutes from the retreat. We will arrange a pickup and dropoff for you at the airport. + If I arrive a day early, can I pay for an extra night and stay there? You can contact Radzy to arrange this at support@qoyawithradzy.com. + Why do I have to apply for this retreat? Why can't I just register? Going to India is a big journey! We will be traveling together for 10 days on a wise, wild and free adventure. We want to begin to get to know you, answer any of your questions, and make sure you feel clarity around what the trip is offering as you make your decision. + I have more questions! Who do I contact?